Earlier this year, we put together a blog entitled What is DRaaS?. In case you missed it, here’s a quick recap: disaster recovery as a service (DRaaS) describes the use of a third-party provider to replicate your physical or virtual infrastructure in the cloud, and then restore from backup or switch to the replica of your IT environment if disaster ever strikes. But does your business actually need an off-site disaster recovery (DR) environment? And what are the reasons to invest in cloud-based DR in particular? Here, we look at a handful of the possible drivers for implementing a DRaaS environment. One of the most game-changing aspects of DRaaS is its low cost compared to traditional DR, which can involve a wide range of cost and resource-intensive tasks like transporting tape backups off-site and doubling your data centre footprint with a failover IT environment. In fact, it’s for these reasons that DR is often put on the back burner in the first place. Recent surveys have found that one in five firms (18%) lack confidence in their DR plans (almost half (46%) not testing those plans on an annual basis), and as many as 43% of SMEs have no contingency measures in place to deal with a crisis. So, while there’s an obvious cost of doing nothing when it comes to DR - one alarming statistic from the Ponemon Institute pegs the average cost of a data centre outage at almost $9,000 (over £6,500) per minute - many firms still expose themselves to the risks as DR best practice requires a great investment in infrastructure, expertise and staff resources. DRaaS offers a way to break out of this vicious circle and build up your resilience at much lower cost, and with a smaller resource overhead when creating, implementing and testing your DR plan. Another potential cost hurdle to consider in traditional DR is capex spend. Even with a rigorous and well-rehearsed DR plan in place, the rate at which firms’ data footprints are growing (Cisco predicts almost 200 exabytes of data will be transferred over IP networks per month by 2020 - up from less than 75 exabytes per month in 2015) means the level of capex spend involved in traditional DR is ballooning. This raises a number of possible concerns. Should firms keep hold of hardware for longer than its intended lifespan to minimise spend as much as possible? Or cut back on other aspects of their DR plan? The “pay for what you need, when you need it” nature of DRaaS makes it easier to scale up your failover IT environment as your data footprint grows. Many IT teams have enough on their plates without the prospect of building, maintaining and regularly testing a traditional DR environment - naturally, looking after primary environments takes priority, which can result in compromised (or non-existent) failover plans. DRaaS offers a way out of this risky impasse by offloading the time-consuming burden of physical infrastructure considerations to the service provider. In turn, the previously daunting task of establishing a DR strategy that's fit for purpose becomes much more feasible, often without the need for increased staffing levels. 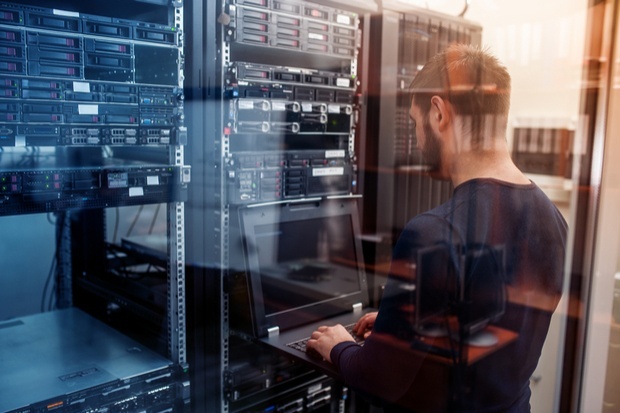 What's more, you've got the expertise, experience and - critically - the support of your DRaaS provider at hand, should you need to recover to your standby environment. Finally, some firms may need to implement DR plans to meet a compliance or certification requirement, and DRaaS represents an efficient and cost-effective way to fulfil this need. In particular, ISO 27001 makes some stipulations around the information security aspects of business continuity, while ISO 22301 (Business Continuity Management Systems) outlines best practice for firms to “protect against, reduce the likelihood of occurrence, prepare for, respond to, and recover from disruptive incidents”. Having these certifications will demonstrate to regulators, auditors and customers your resilience to disasters, and your ability to maintain availability of data and services through thick and thin. Want to find out more about DRaaS? Download a copy of our free buyer's guide below.